We will soon have a new designer collection of bridal gowns in our boutique starting this Fall! We are thrilled and honored to exclusively carry BLISS Monique Lhuillier in the Tampa Bay area! Bliss Monique Lhuillier is a bridal collection of classically feminine yet modern gowns with signature Monique Lhuillier style. 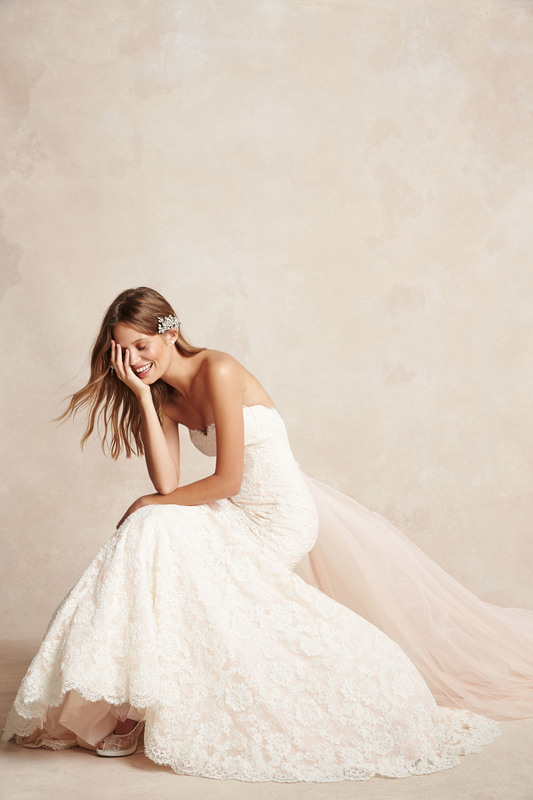 Wedding dresses from the BLISS Monique Lhuillier Spring 2015 collection will be arriving in the next few months and we are counting down the days! The collection is inspired by a femininely elegant, youthful bride. The romantic dresses beautifully combine lace and draped tulle, and embroidered lace appliqués in a soft color palette infused with blush and latte. These exquisite details are featured in stunning mermaid, sheath and ball gown silhouettes. The most wonderful part about this collection is the incredibly accessible price point starting between $2000 and $3000. Monique Lhuillier is truly an icon in the bridal fashion world and BLISS Monique Lhuillier encompasses the distinctive characteristics for which Lhuillier is known: hand-tufting, delicate embellishment, fine laces, and impeccable fabrications in silk satin and organza. What bride wouldn't want to wear one of her gorgeous designs on her wedding day? Stay tuned for news on the highly anticipated first arrivals to make your appointment! In the meantime, check out the beautiful video below.